Complex and expensive: That about sums up the world of enterprise communications. But it doesn’t have to be. 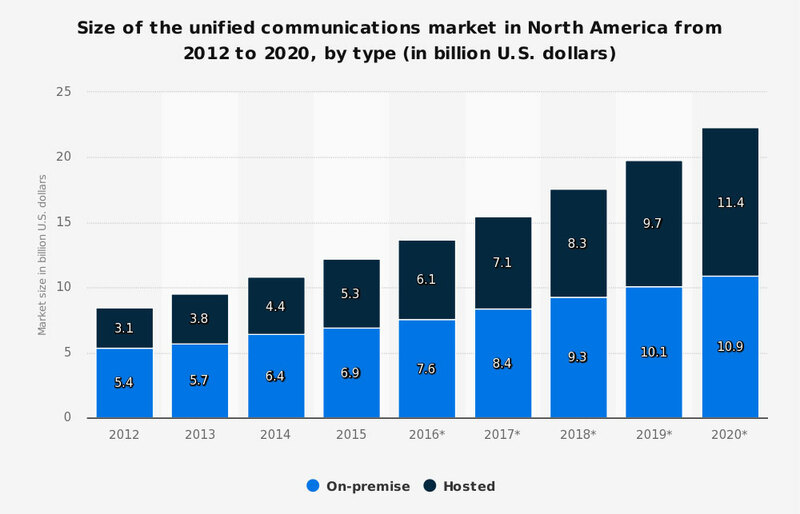 With unified communications as a service (UCaaS), businesses can realize the promise of a simpler, more cost effective way to communicate and collaborate. Think about the sheer volume of business communications CIOs need to manage, then factor in the rapidly changing digital formats, and the different types of devices being used today. Employees themselves are a moving target – literally – with shifting preferences to fit their highly mobile lives; and they expect easy-to-use, beautiful user interfaces just like their consumer apps. Business communications go beyond voice. Texting at work is becoming a go to method of communicating. 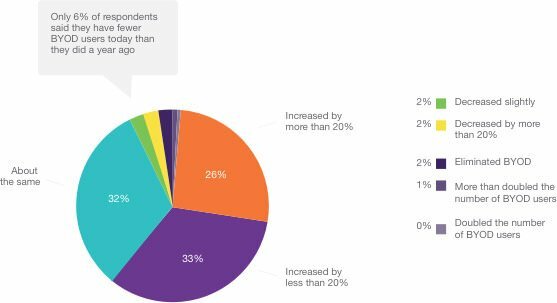 of people use text messaging for business. of business professionals prefer texting to messaging apps. of contact centers currently offer SMS, and 23% have plans to add it in the next 12 months. That means 61% of contact centers will offer SMS support in 2016.
of U.S. adults carry text-enabled mobile phones. of smartphone owners use text messages on a regular basis. of companies communicate regularly with customers over text. As a result, most companies are missing connections, inconveniencing customers, and ignoring opportunities. With turnkey software available to text-enable existing landline telephones and 1-800 numbers, it’s easier than ever for companies to support business texting. 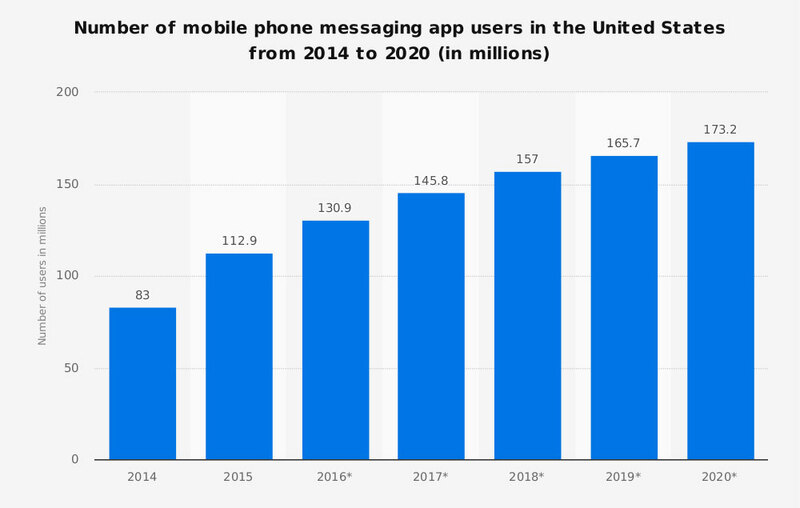 The growth of business texting has been explosive, with traffic volumes growing 300 percent in 2015. But that’s not all. CIOs face quality of service (QoS) issues, data management and privacy requirements, frequently spanning countries and continents. 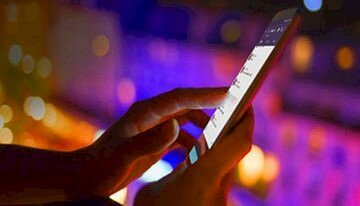 Effective UC promises to deliver seamless, secure, and cost-effective communications—across multiple channels (voice, text, video, etc. ), and on different devices, anywhere the user needs it. The primary goal of UCaaS? A simple user experience that drives cost savings, better informed decision making, more efficient operations, improved customer engagement, and more. But how do you get there? You start with VoIP. Businesses continue to move from PBX telephony systems to VoIP (Voice over Internet Protocols) solutions. The reason? The significant total cost of ownership savings. No more on-premise PBX hardware, support, and maintenance lead to reductions in monthly phone line costs. 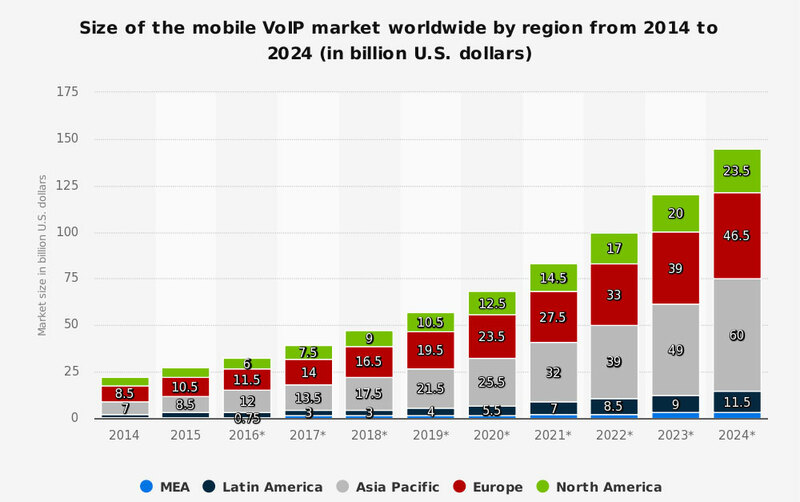 VoIP is just the beginning. Since IP telephony is digital and cloud-based, it has the potential to be combined with other digital communications: email, texting, videoconferencing, and beyond. But global enterprises have uncovered a significant hitch in the giddy-up. For distributed offices or remote employees, you may need to deal with a different service provider in each location. Even within a country you may have one provider for VoIP, another for video, yet another for SIP trunking, and so on. This communication system patchwork is complex to manage and costly. It can be a barrier to realizing the full benefits of unified communications. A global enterprise headquartered in London has major offices in North America and throughout Europe. Just for phone service, the UK facilities deal with British Telecom; North America deals with both AT&T and Bell Canada; and across Europe it deals with Orange SA, Deutsche Telecom and Telefonica – among others. IT tried to consolidate video conferencing services onto a web-based system, but several large campuses continue to use specialized and expensive video telepresence systems. What if you could deal with one service that provided global, complete communications? Take the initial promise and savings from VoIP, combine them with other digital communications such as messaging, video, and conferencing, and extend them across the enterprise. 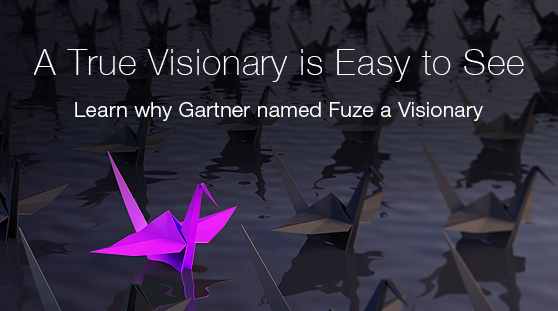 That is the mission of cloud-based, unified communications delivered as a service.  Cloud Based Unified Communications is built upon a service provider’s global infrastructure of datacenters connected to the Internet. For the CIO, that means no upfront capital investments and economies of scale that can reduce unit carrier costs (e.g. per phone). The provider’s multiple datacenters can provide on-demand scalability and built-in redundancy to ensure business continuity. Services can be fast (low latency), reliable, and in many cases more secure than those patchwork systems they are replacing. Dealing with one vendor, the CIO experiences a simple billing process, consolidated across geographies and different services. One provider – a global carrier – for all communications: voice, text, video, etc. How easy is that? Global, cloud-based platforms have already transformed some industries: think AirBnB in hospitality, Uber in transportation, or Amazon Web Services in data storage. What about enterprise communications? With cloud-based communications, the management of different plans and billing for separate offices is replaced with reduced rates and a consolidated, greatly simplified management process. Additional communication services such as chat and video – support for entire customer contact centers – can be added more easily via a ready-made, global IP infrastructure. UCaaS offers immediate cost-savings by reducing capital investments and inefficient operational expenditures. It also offers speed and flexibility. • Easier adoption of new IP-based communications technologies (see graphic below). It allows IT to focus scarce resources on helping lines-of business (LOBs) achieve their business goals. IT can align faster and better with LOBs and play a bigger role in the digital transformation of their organization. And thinking ahead, a global platform can provide real-time visibility on enterprise communications. Digital channels allow IT administrators to gather data on actual usage and the context of multi-channel communications. Such insights can be used to optimize workflows, employee collaboration, and customer engagement in contact centers and offices. But let’s not forget the users. Employees continue to bring their devices to work. In fact, according to a global survey of CIOs by Gartner, Inc.'s Executive Programs, over half of employers will require employees to provide their own devices for work by 2017. They have come to expect their on-the-job experience to match – or surpass – what they experience as consumers. The real risk of any UC investment is failing to deliver on those expectations, creating a barrier to broad employee adoption. • Include real-time synchronization among desktop, laptop, smartphone, and tablet devices. It’s a tall order. It’s not easy making the user experience consistent, personalized, and synchronized across preferred devices in real-time. Oh, and don’t forget to keep it easy-to-use. The right global communications experience, while living up to the consumer-grade expectations of users, maximize adoption. Widespread adoption is key to achieving the benefits of true enterprise collaboration. True collaboration happens when employees can exchange information and ideas globally, easily, and effectively. What employees don’t need is to struggle with the tools they use to communicate. An easy to use and widely adopted communications solution provides the right environment for effective collaboration. This also requires flexibility. 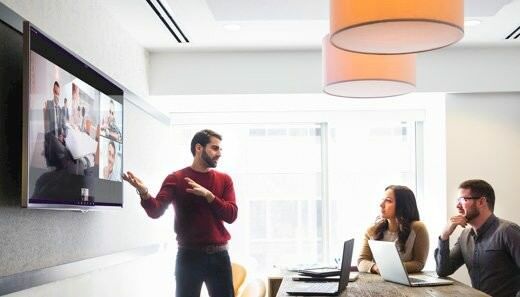 Unified Communications platforms with open APIs and connectors ca quickly accommodate innovative collaboration technologies as they emerge, adapting to the way employees want to work together across the enterprise. And that’s critical. A recent study found that up to a third of value-added workplace collaborations come from only 3% to 5% of employees. Imagine increasing that 3% or 5% to 10%, 20% or 50% of employees by better enabling their communications. Real business collaboration can improve productivity, enhance customer service leading to increased sales, get better products to market faster, and engage employees. Achieving these benefits will be a lot easier with a global UCaaS solution that provides a superior user experience. Who would have imagined the business implications of Facebook? Or the rapid adoption of Dropbox in business? The tools – and processes – employees use to do their jobs will continue to change. The lesson: it will be the users that lead the way in communication and collaboration – not a mandate from management. With Unified Communications, virtually any business can realize the benefits of a simpler, more cost effective way to communicate and collaborate.